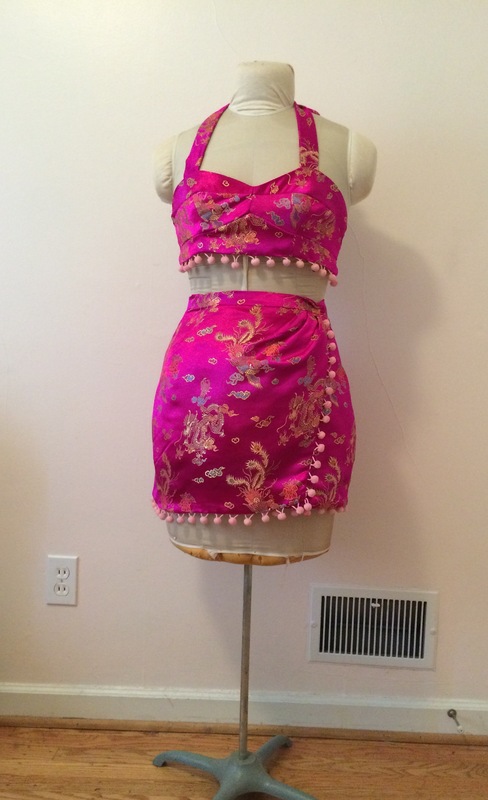 Readers, I’m super excited to share with you my latest commissioned project – pin-up girl dance costumes! 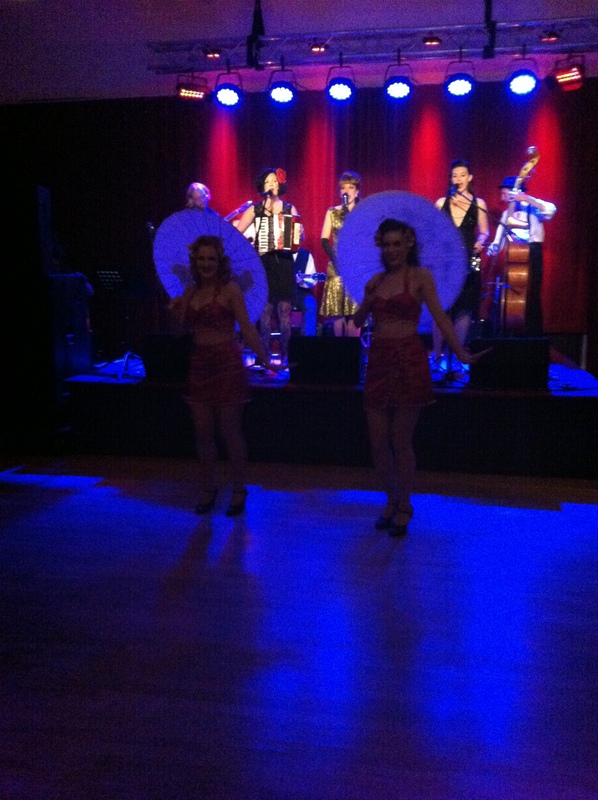 The costumes are an altered version of Butterick 6019, which is one of the patterns by Gertie. 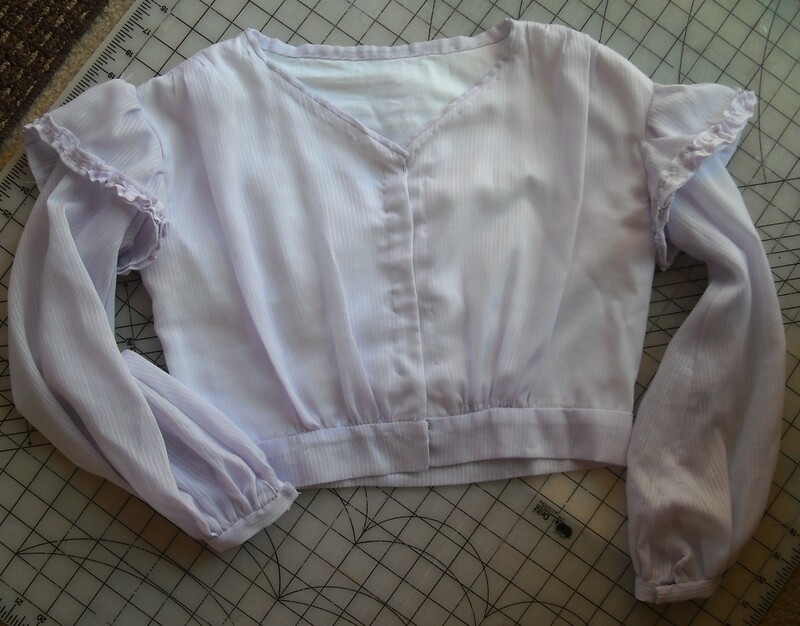 I shortened both the wrap skirt length and made the bodice a separate bralette top, per the girls’ request. 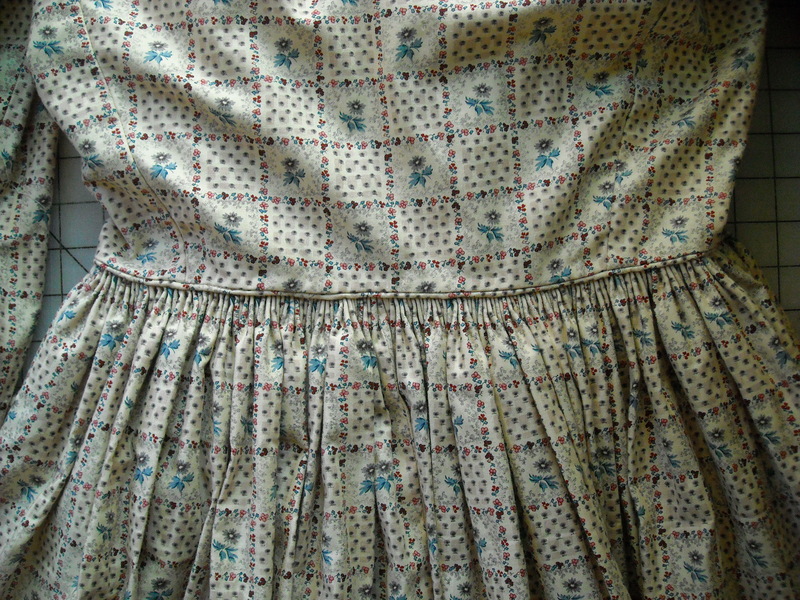 This project actually involved a number of new sewing techniques for me, including sewing pom-pom trim on (not difficult at all, just something I’ve never done before) and shirring the side back bodice pieces with elastic thread in the bobbin. 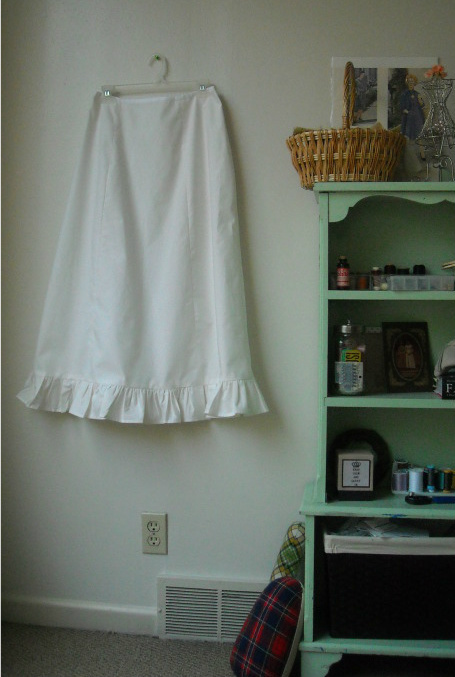 I’d seen this technique done once before on an episode of The Great British Sewing Bee, so I already knew that I’d have to wind the bobbin by hand (you don’t want this stuff to stretch before it’s sewn!). What I wasn’t prepared for was how much elastic thread this project would use! I used up my entire 11 yard spool of Gutermann elastic thread (yes, it comes on 11 yard spools) and had to re-wind the bobbin 3 or 4 times, which I guess makes sense as you sew lines on the side back pieces 1/4″ apart. The end result was fabulous, though, and really provides a great deal of movement and adjustment, which was perfect for this project. Don’t worry, I tacked the seams down and clipped the threads! 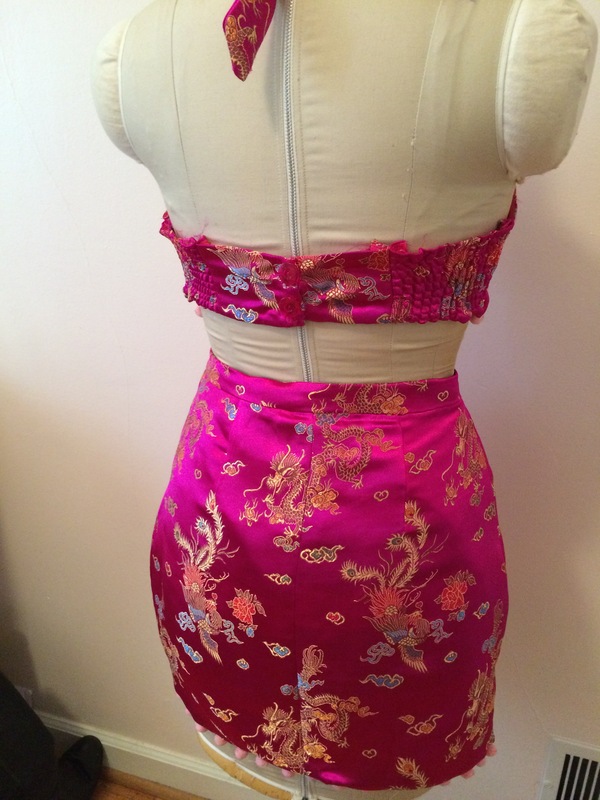 The fabric is a vibrant magenta brocade with a fire-breathing dragon motif on it. I love how the finished outfits turned out, but this fabric was both difficult and time-consuming to work with as it frayed horribly (in fact, I’m still finding threads all over the apartment!) 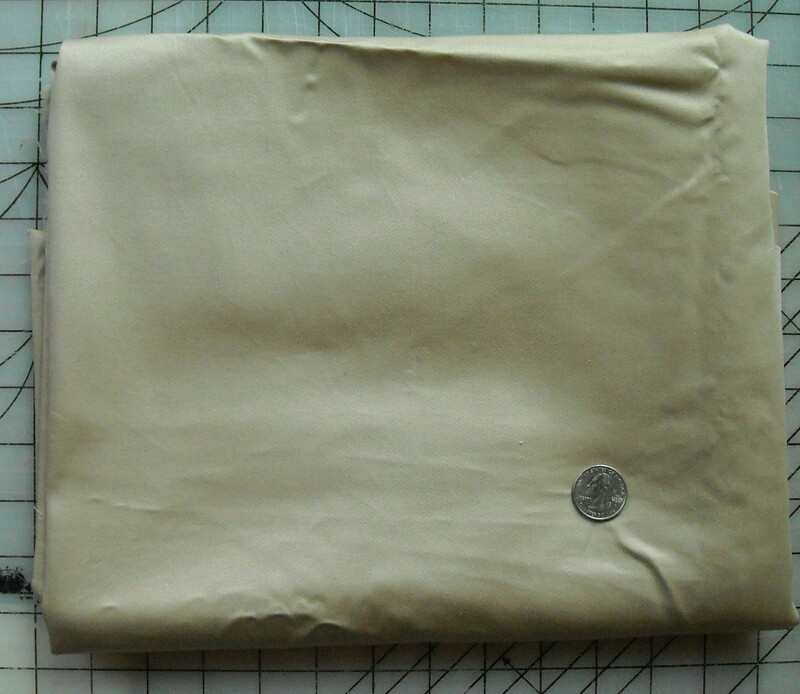 and I had to use a press cloth any time I needed to iron a seam, as the polyester content meant direct contact with the iron would melt it. 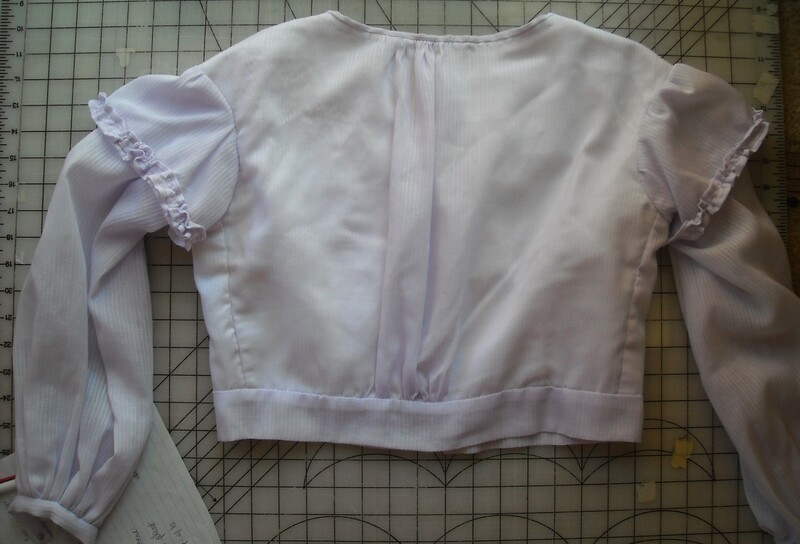 I fully lined both garments to both hide the unseemly fraying seams and add durability (I knew the girls would be moving around a lot in them, so I wanted the garments to be able to hold up). 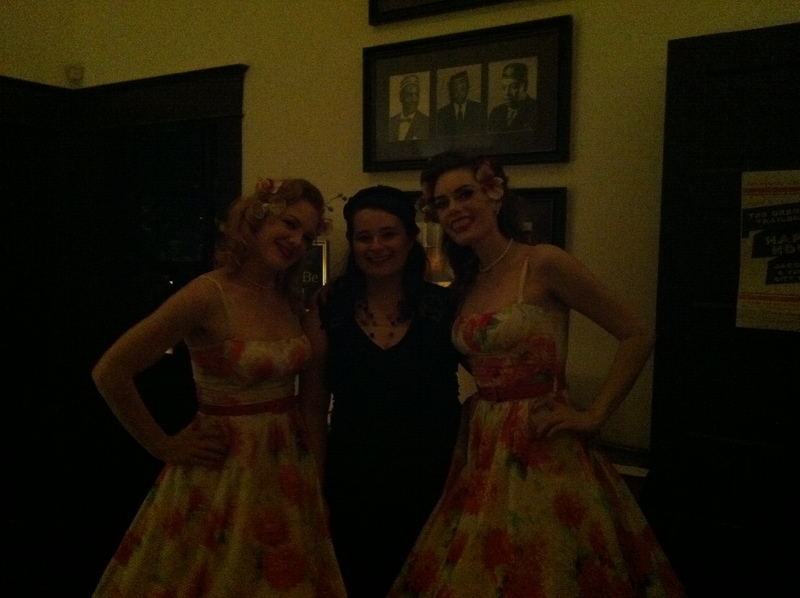 The Starella Sisters have another performance planned next month for the holidays and they’ve asked me to be their official costume designer (!) so I’ll have another couple commissions in the works to share with you guys. Stay tuned for that! Hey, look! I actually sewed something! 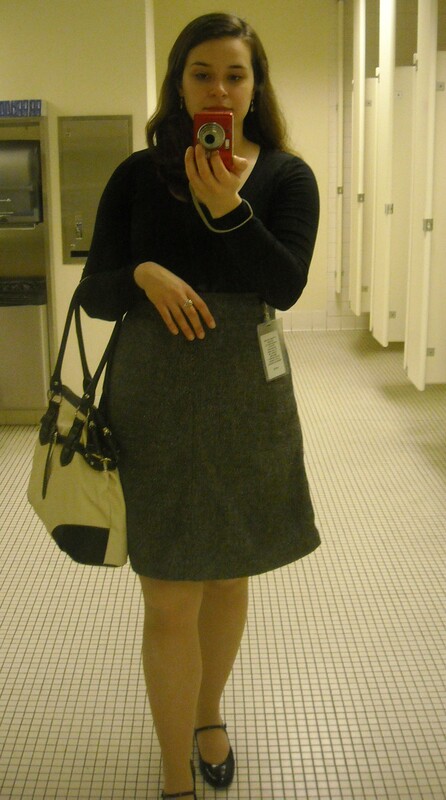 Anyways, after my first modern skirt for work debacle, I decided I need to make another one (I’m a masochist, I tell ya!). Now, don’t laugh when I tell you where the inspiration for this one came from. Really. She’s a very fashionable news woman lady (yes, that’s a technical term), although now she has this talk show that grandma and I watch occasionally, as it’s on every night after Dr. Phil (and we never miss Dr. Phil, or “the doctor,” or sometimes just plain “Phil” as grandma likes to refer to him). The only downside is that I think she may have replaced Anderson Cooper’s talk show, as I never see his show on anymore. 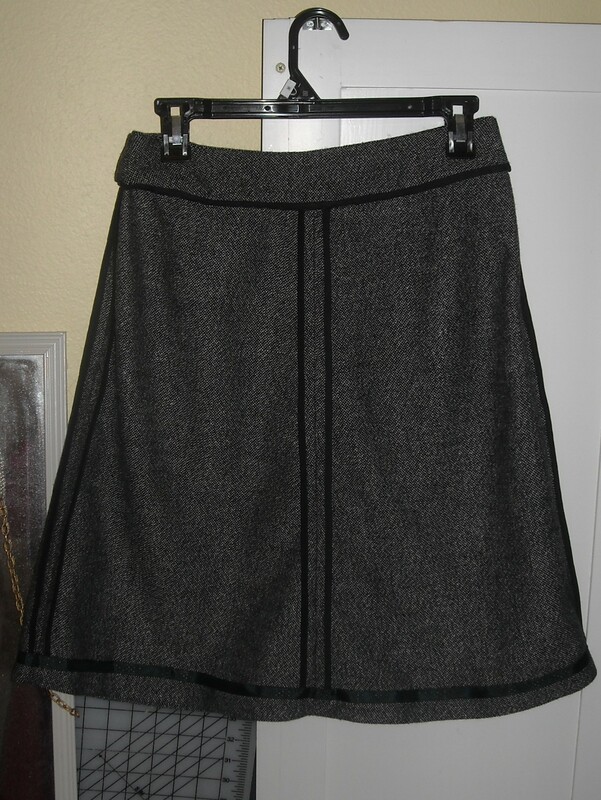 Anyways, grandma and I were watching a Katie Couric show on steroids in sports, and I saw her wearing this cute little grey skirt with a basic black tee, and had to make one. I got the fabric from Hancock’s (it’s a wool blend), and the pattern is Simplicity 1717 (view B). It’s supposed to be one of those “Amazing Fit” patterns, but let me tell you, the fit was less than amazing. 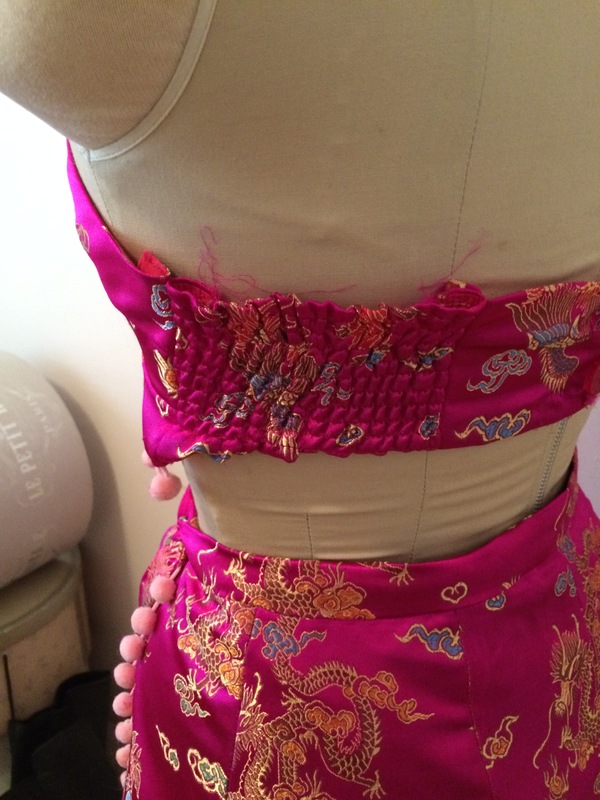 I had to take the whole thing in 2.5″ after cutting out my usual size 14 for skirts. Now, I did forget to staystitch the top edge right after I cut it out, so that *might* have contributed. Might have. But certainly not a whole two inches worth! Well, the zipper’s supposed to be invisible . . . Still, I’m really proud of finishing the inside edges of this thing (even though I had to rip out lots of stitches when refitting it), as the fabric frays like crazy. 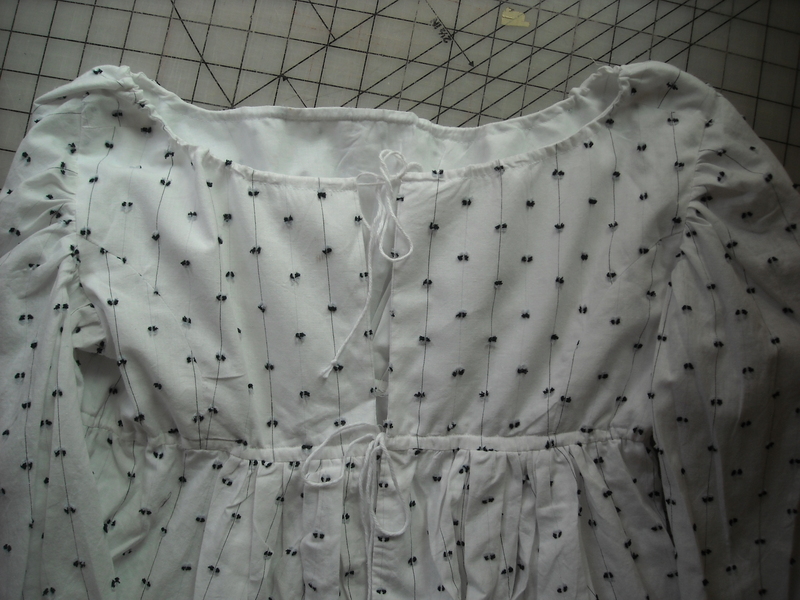 I bound all the raw edges in bias tape, as my usual stitching and then pinking wouldn’t have helped much here. 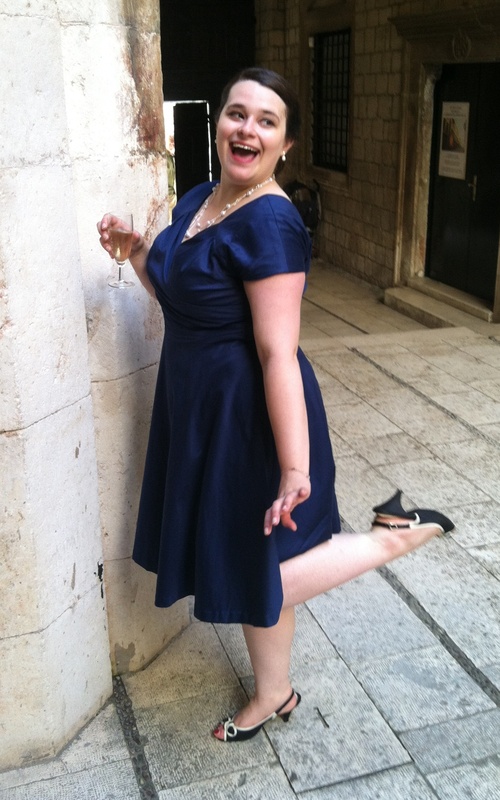 I also wore it with the slip I made a while ago but never blogged about (for some reason. We all know how much I love posting about my underthings on the interweb). 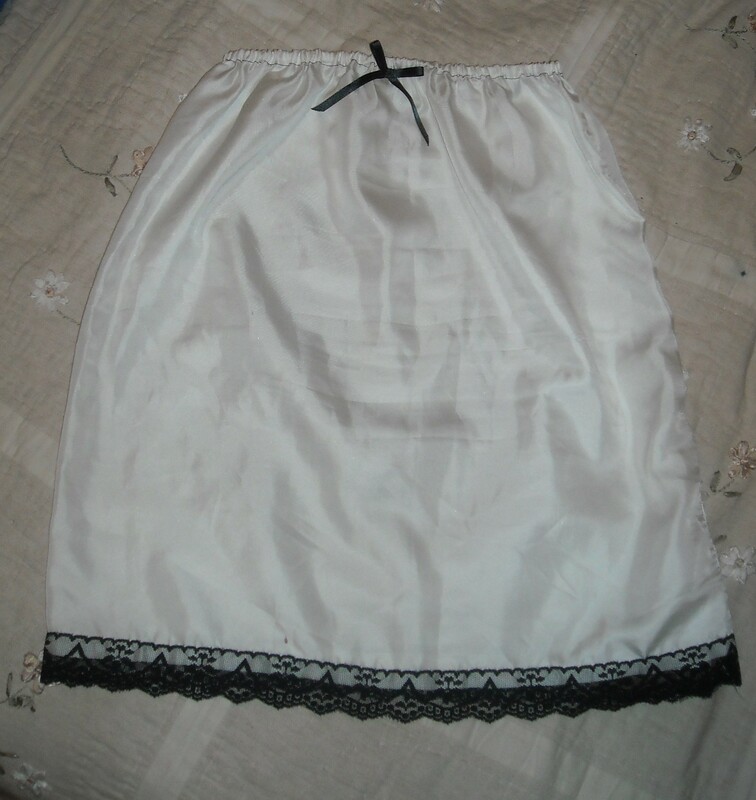 Anyways, it’s silk twill from Dharma Trading Co., trimmed with black lace and a black ribbon. Super classy, if you ask me. Happy New Year, readers! 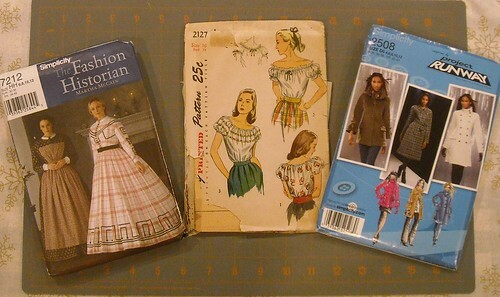 I’ve decided to kick off 2013 by giving away not one, not two, but THREE patterns! 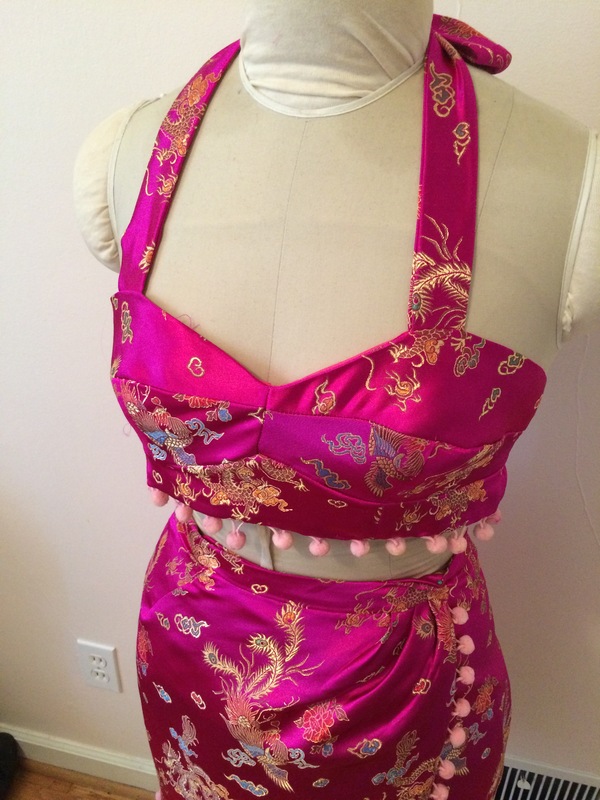 You see, when I sat down to choose what item in my stash I would like to give away, I realized that the blog here is multi-faceted and that I have readers that visit here for a variety of reasons, be it my costuming, vintage dalliances, or modern sewing. I couldn’t pick just one pattern to embody all 3 of those things, so I’ve decided to give away 3 patterns instead! 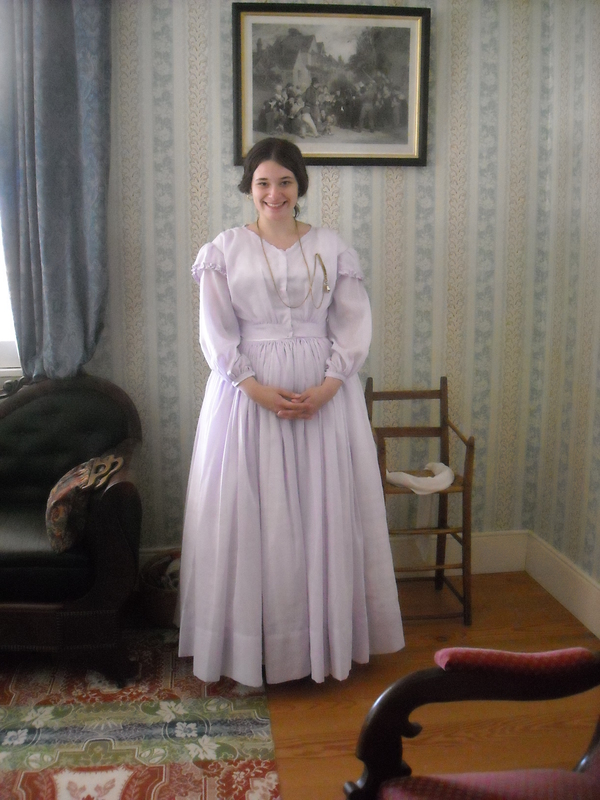 1) Simplicity 7212, which includes patterns for a pinner apron, collar, undersleeves, and 2 dresses, perfect for mid-19th century stuff. Includes sizes 6, 8, 10, 12. 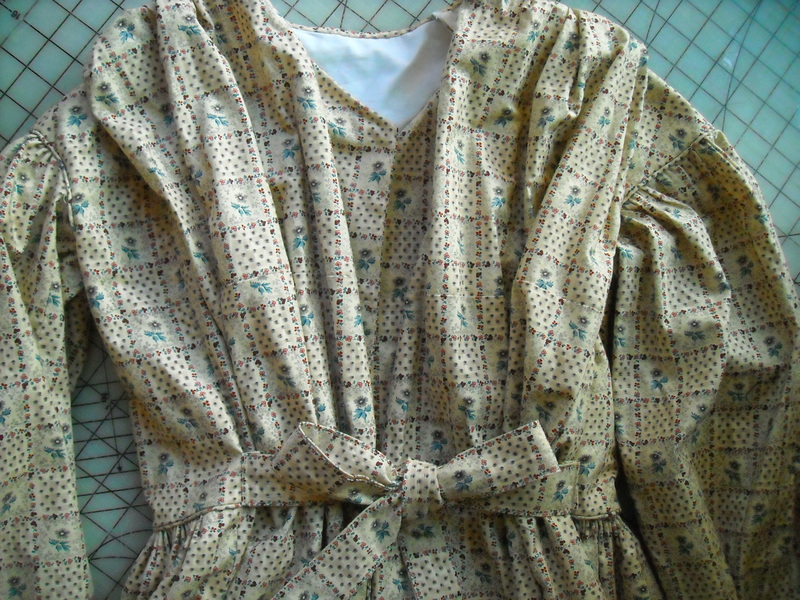 2) Simplicity 2127, a peasant blouse pattern published in 1951 in a size 16 (this is vintage sizing, which equates to a 34″ bust and 28″ waist). The pattern envelope is a bit torn, but all of the pieces are there, and the best part is that the tissue actually has printed stuff on it! No more having to decipher those perforations. 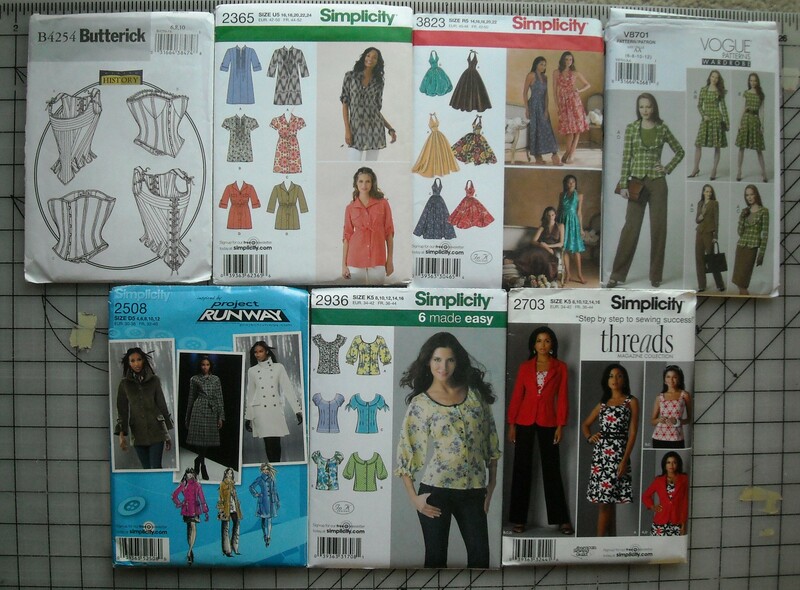 3) Simplicity 2508, a Project Runway coat pattern with lots of options. I know Spring is right around the corner, but it’s still cold outside and cute peacoats still a necessity. Includes sizes 4, 6, 8, 10, and 12. To enter, please leave a comment below with which pattern(s) you want. I’ll close the giveaway a week from today on Tuesday, January 8th at 7 pm PT and then draw 3 winners at random. Good luck! 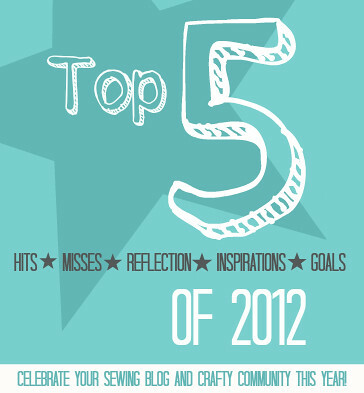 It’s time for another blog sale, readers! This one comes out of necessity, as my parents are selling my childhood home, and I have to move everything to mom’s (we won’t get into the emotions involved with this here ;)). Suffice it to say, I probably will have more stuff to sell in the near future, as I become more able to part with things in the stash. As usual, here’s how this works: Leave a comment about what item(s) you want. Once you’ve done that, I’ll e-mail you with your total and a shipping estimate (you do have to leave an e-mail address to comment on any posts, but don’t worry, these are never shared!). Unfortunately, at this time, I’m only able to take cash or checks. Sorry for any inconvenience that may cause! 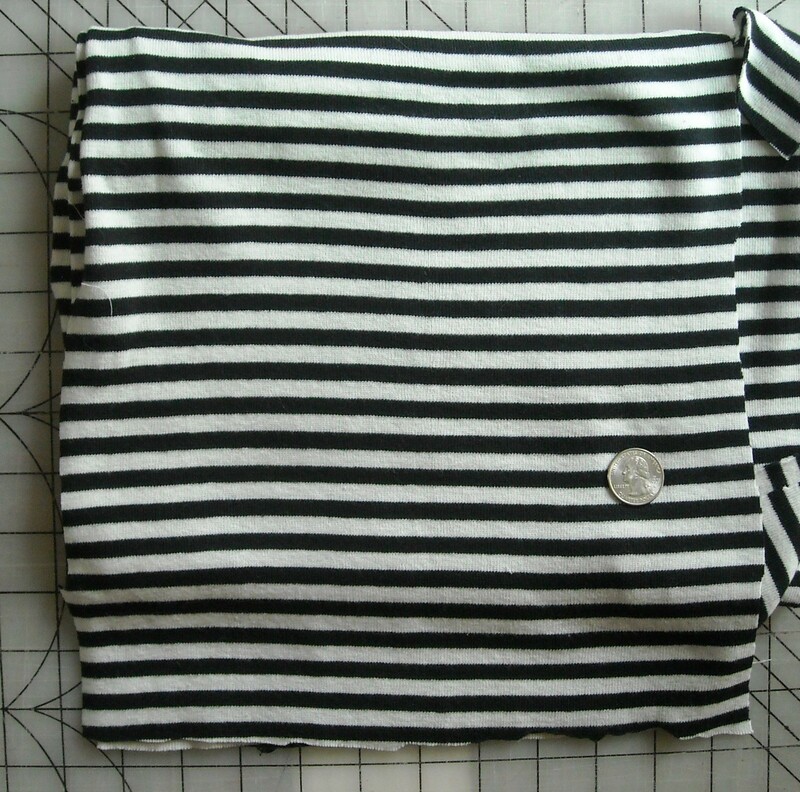 Remnant piece of black and white striped 100% cotton baby rib knit. Piece measures 27″ x 30″, and there are a few scrap pieces in there, as well. $3. 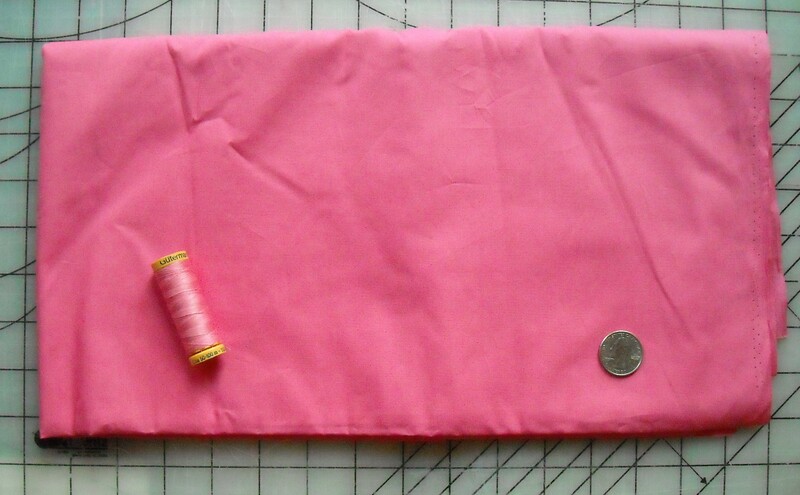 Bright pink 100% cotton shirting fabric (plus thread!). 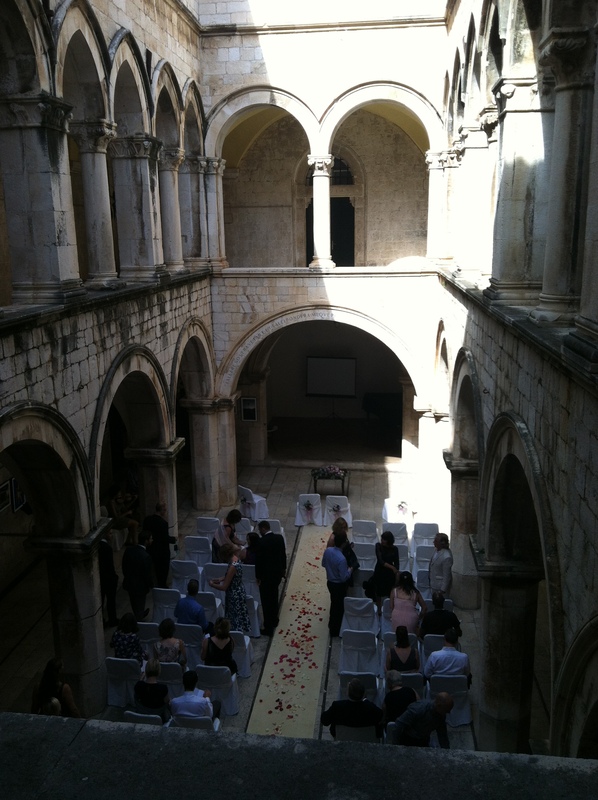 Piece measures 58′ wide by a little over 1 3/4 yards long. $11. 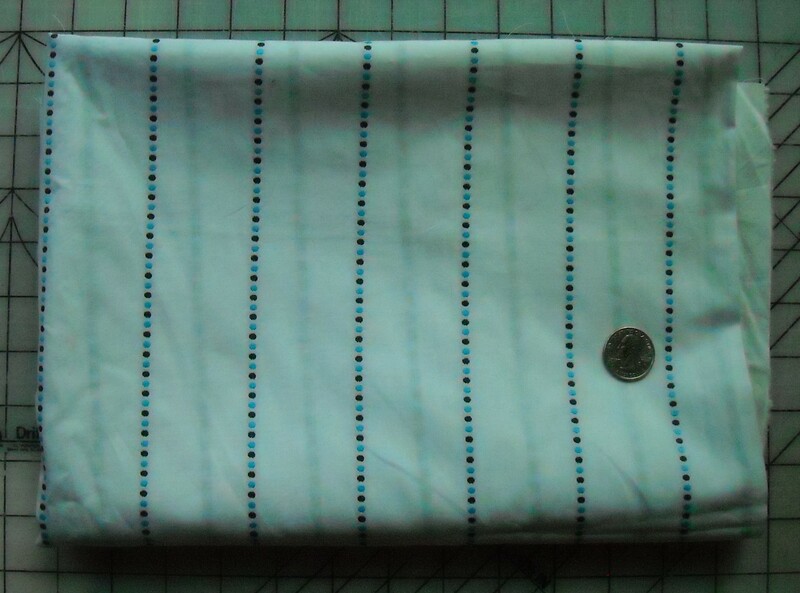 White cotton shirting with light and dark blue dot stripes. Piece measures 46″ wide by 1 yard 30″. $9. 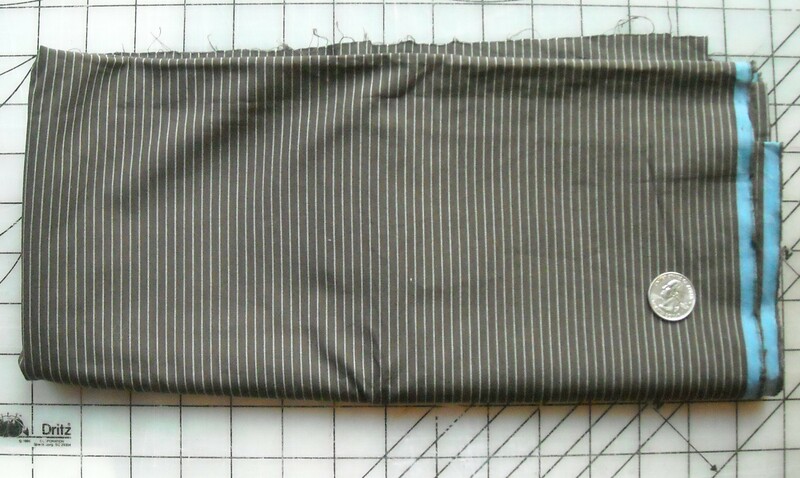 Brown and white cotton striped shirting. 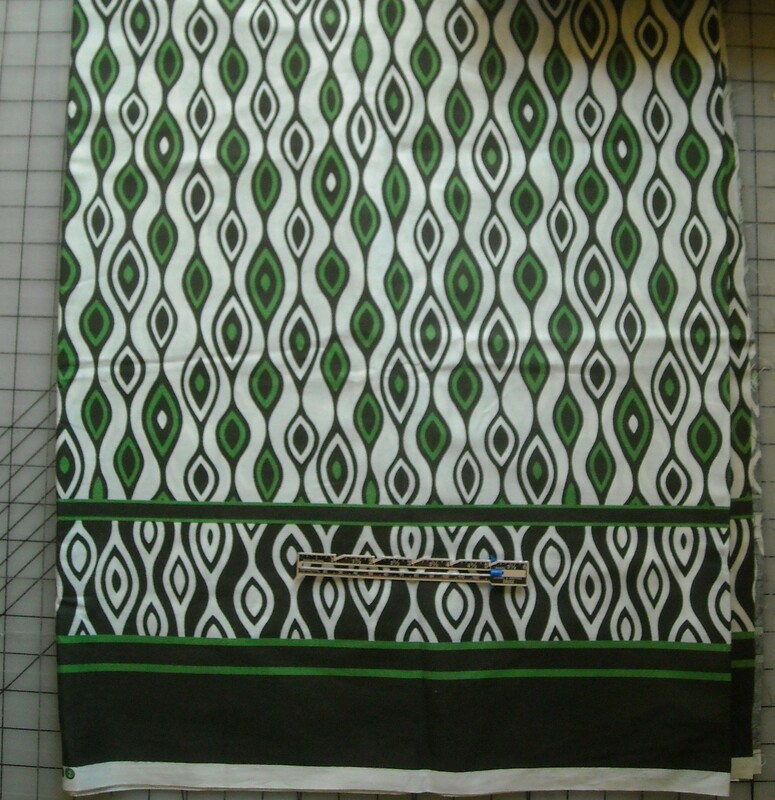 Piece measures 58″ wide by 1 and 3/8 yards. $7. 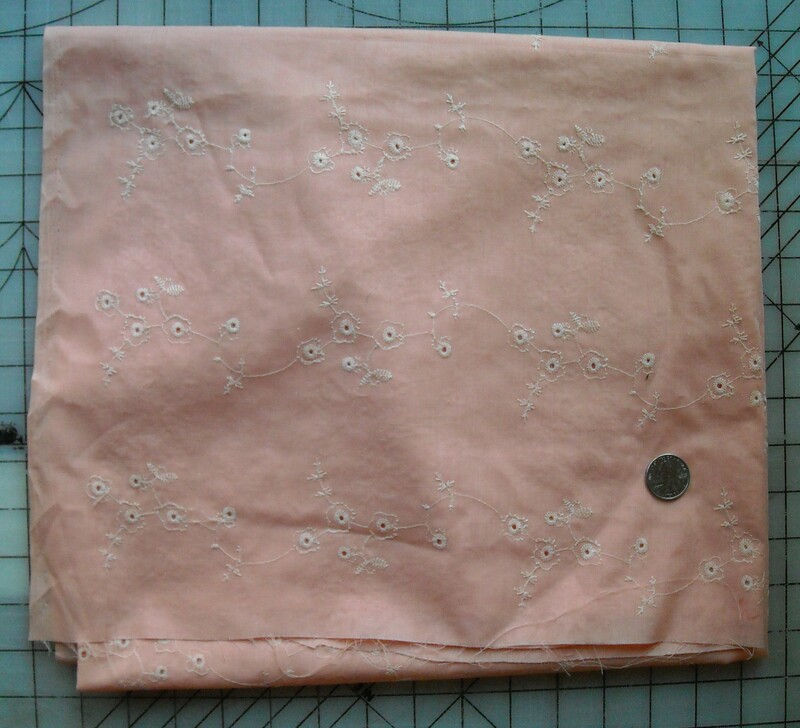 Peach cotton eyelet fabric, originally from Vogue Fabrics Store. 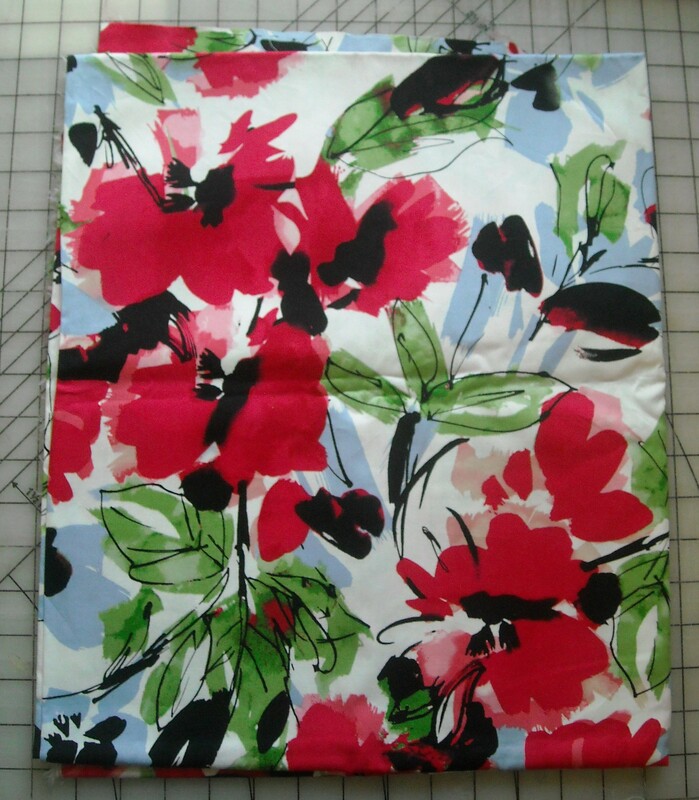 Piece measures 59″ wide by 1 and 3/8 yards. $6. 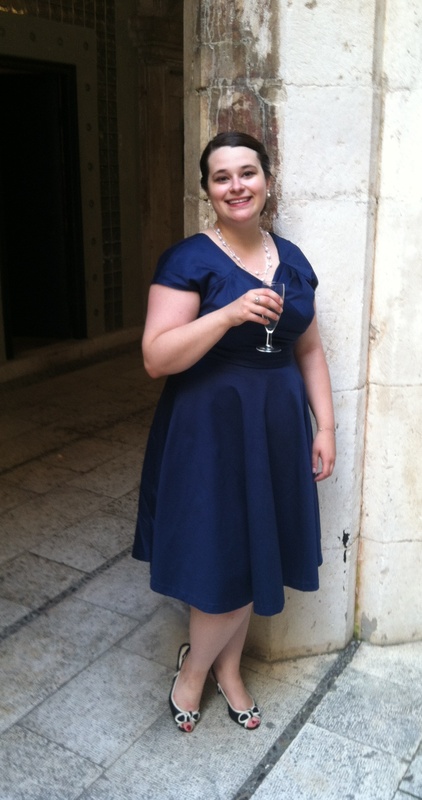 -Simplicity 2365, sizes 16, 18, 20, 22, 24. -Simplicity 3823 (Special occasion halter dresses), sizes 14, 16, 18, 20, 22. 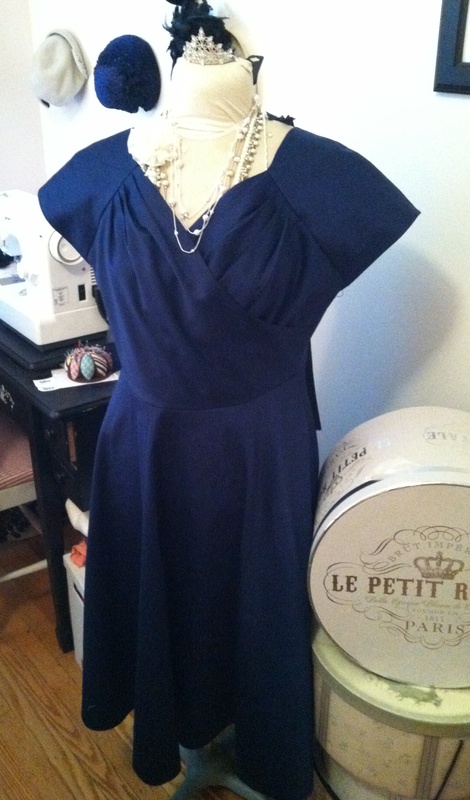 -Simplicity 2703, sizes 8, 10, 12, 14, 16. 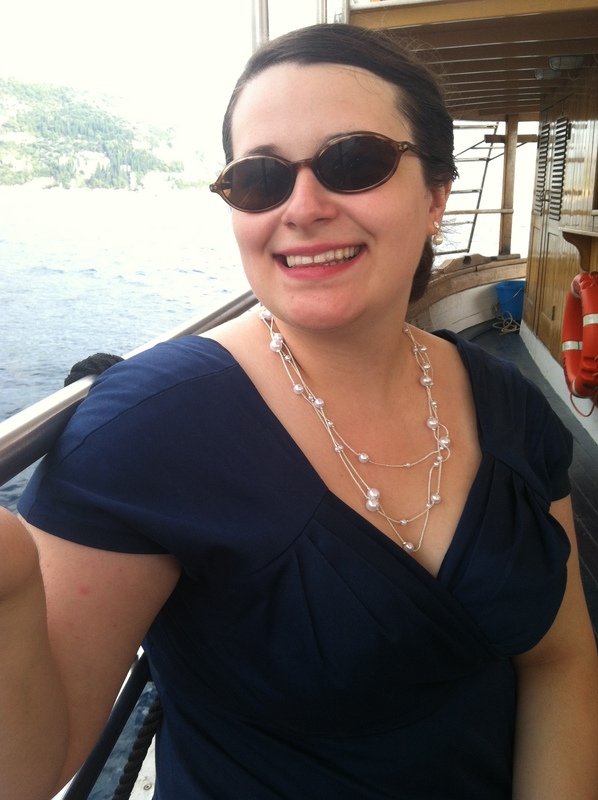 I used my modified version of Butterick 4443 (one of my favorite bodice patterns ever). 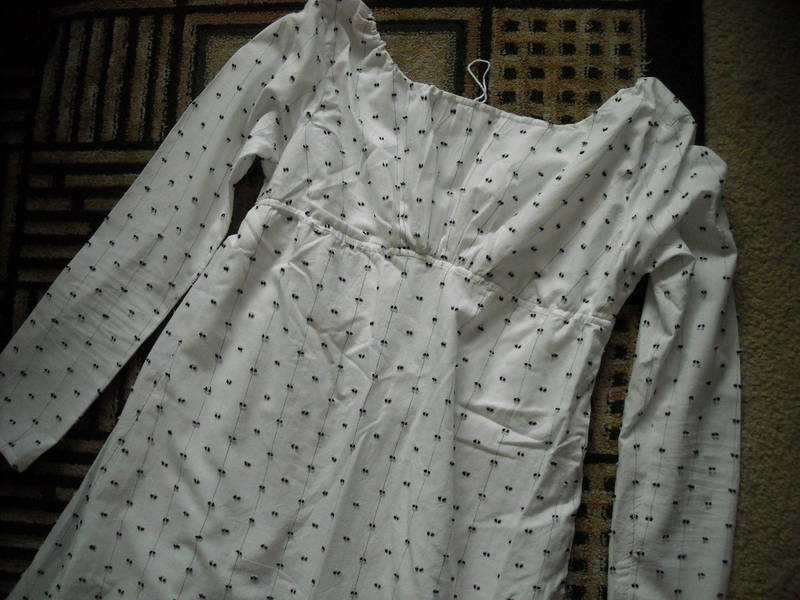 It’s the same pattern I used for the Jenny in Paris dress, and Rachel Berry halloween dress. I just love having a go-to pattern that I know will fit (I’m sure you all feel the same!). What about you, readers? Any fellow Project Runway fans out there? Anybody working on a stash busting project?